SuperSmash Bros Melee Tournament Bookmans Entertainment Exchange Midtown 3330 E. Speedway Blvd. 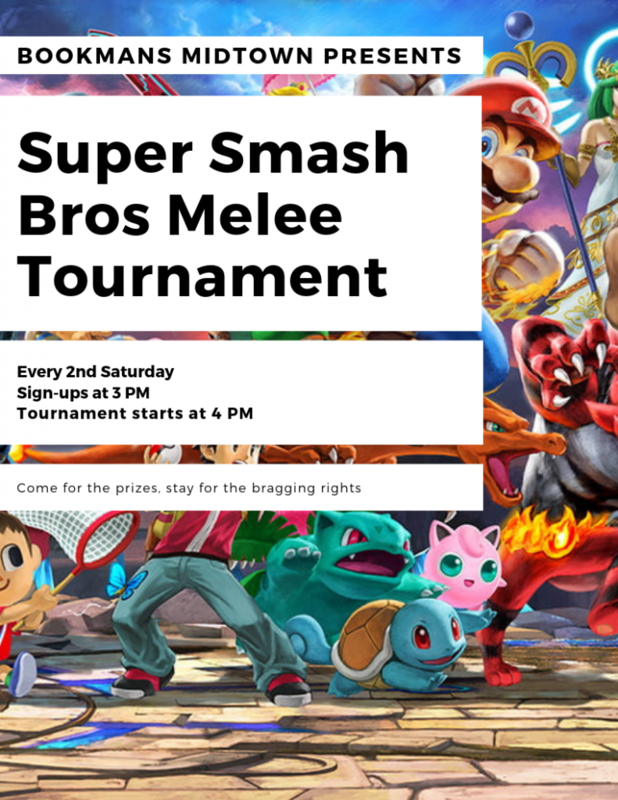 09feb3:00 pm6:00 pmSuperSmash Bros Melee Tournament3:00 pm - 6:00 pm Bookmans Entertainment Exchange Midtown, 3330 E. Speedway Blvd. Join Bookmans Midtown every 2nd Saturday for Free SuperSmash Bros Melee Tournament! Every month on the second Saturday, we gather around our CRTs to play some friendly, single-elimination matches to see who is the King/Queen of Smash! We play on a GameCube and Nintendo Switch, and we provide controllers, but bringing your own GameCube controller is encouraged.